We help you reach the most important target groups in Estonian healthcare, whether they are doctors, nurses, pharmacists or decision makers. Our portfolio allows us to offer comprehensive solutions in the field of healthcare. Med24 is the most visited web-based publication targeted at doctors, pharmacists and nurses in Estonia. The contents of the comprehensive web platform targeted at healthcare professionals include news, a training calendar, advance copies of medical journals, e-training and databases required by doctors in their clinical work. Estonia’s most experienced organiser of medical conferences and training sessions. Over the past few years we have organised a total of more than 30 large medical conferences, including several international conferences. Each year we train more than 4000 people. We offer comprehensive solutions, starting with the preparation of the programme all the way to its technical organisation and media coverage of the event. The most read media publications in our target group are: medical journal Eesti Arst for doctors; the medical journal Perearst for general practitioners; the medical journal Lege Artis for medical specialists; the medical journal Apteeker for pharmacists; and the medical journal Pereõde for nurses. The editorial staff includes specialists from the respective fields. 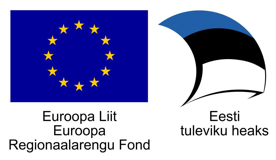 Celsius Healthcare is a member of the Connected Health healthcare technology cluster, the company has received Enterprise Estonia development plan support , Archimedes Smart Specialisation support and Green ICT support . Celsius Healthcare has received support in the amount of EUR 149,616 for the Enterprise Estonia development plan project Development of a Support System for Clinical Decisions Regarding Medicinal Products. Celsius Healthcare has received support in the amount of EUR 42,350 from Archimedes for the Smart specialisation measure for applied research regarding the Development of an E-Service Prototype for the Dosing of Medicinal Products and the Development of Algorithms. Celsius Healthcare has received support in the sum of EUR 192,313 from the Norway-Estonia programme Green ICT The Development of Environmentally Friendly Innovation with the Aid of Information and Communication Technology.